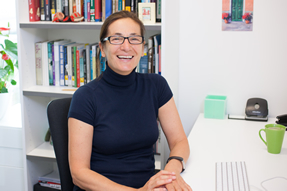 Verica Rupar is an Associate Professor at the School of Communication Studies, AUT, New Zealand. Her most recent publications include “Getting the facts right: reporting ethnicity and religion in Europe” (IFJ, 2012) and “Scooped: Politics and power of journalism in Aoteraoa New Zealand” (co-edited with Sean Phelan and Martin Hirst, AUT Media 2012). Dr Rupra is also editor of “Journalism and Meaning-making – Reading the Newspaper” (Hampton Press, 2010), the book that is subject of this interview. Her research interests are in comparative journalism studies and inclusive journalism. Dr Rupar serves as an academic consultant for the London-based Media Diversity Institute, and has worked previously as a journalist and journalism educator in Serbia, Slovenia, Hungary, Australia and UK. “Journalism and Meaning-making – Reading the Newspaper” challenges the existing conception of journalism as a socio-cultural practice that imposes and legitimizes valid re-presentations of the social world. The book leaves the overly-exploited question of what journalism should be, and asks what journalism is. Focused on newspaper discourse the book puts the issue of making sense of reality at the center of the debate about journalism. The book presents essays on a range of topics including journalistic style, the national and international context of its operation, its relation to social change, issues of ownership and convergence, tabloidization, the construction of social identities, and discursive potential of layout. The need for critical reflection on journalism has never been more urgent than it is today. The striking contrast between the power of journalism to tell the ‘truth’ about reality, and the growing apathy of its audience, raises the question of how journalism can legitimately mediate reality for us. Does journalism matter any more? Has the old notion of helping readers to understand the world beyond their own experience disappeared under the pressures of the organizational, political, technological and economic milieu within which journalism operates? If so, and if the glorious days of journalism have passed, what remains? What do we actually read and expect to read when we buy a newspaper (once called a portion of early morning prayer)? “Journalism and Meaning-making – Reading the Newspaper” addresses these questions by looking at the ways in which journalism becomes embedded in the news text. The organization of the book follows the logic of the journalistic field: it firstly introduces the universal features of the study of journalism (Part One: Mapping the Field), moves on to contemporary issues (Part Two: Contemporary Issues), and concludes with detailed analyses of the practice itself (Part Three: Everyday Practice). This book situates journalism in its larger systematic environment. It argues that interrelations between the field of journalism and surrounding fields are changeable, not static and not defined once and for all. The book argues that journalists not only reproduce but also transform power relations in other fields of social and cultural production. “Journalism and Meaning-making – Reading the Newspaper” is a collection of essays that goes to the heart of the question of how journalism affects our public life. It looks across the national boundaries to deconstruct the universal features of journalism, regardless of the frameworks in which journalists operate. This book offers a detailed examination of journalism in a way that allows the conceptualization of its practice in context, both historically and geographically. This book reflects my interest in journalism as a distinctive discursive practice. Developing models for examining journalism’s production of ‘common sense’ is related to the more universal questions of the role of the media in society, of power and disparity, of social integration and identity and of social changes. Journalism’s power to facilitate social inclusion and exclusion, has significant consequences on public life. At its highs, when performing the highest standards of profession, journalists can affirm tolerance, pluralism and social harmony actively contributing to the cultural changes in the society. At its lows, unethical journalism reinforces prejudices and stereotypes whose diffusion contribute to racism, hate speech, discrimination and violence. Journalism does not have the uncontested centrality in the public sphere it once had, but journalism’s place in our understanding of the world remains to be a central question for journalism studies. “Journalism and Meaning-making – Reading the Newspaper” is focused on legacy media and it would be good to further explore creation of meaning in digital forms of journalism, and styles of representation, interpretation and construction of reality that go beyond conventional, mainstream media.